While it's always exciting to help a new client launch their very first website and share their work with the world on-line, it's also very satisfying to work with on-going clients over time and help them address new communication needs as their businesses grow. 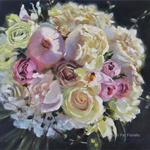 Pat Fiorello has been one of my long-time clients. When I designed Pat's very first website back in 2002, she was exclusively a watercolorist. 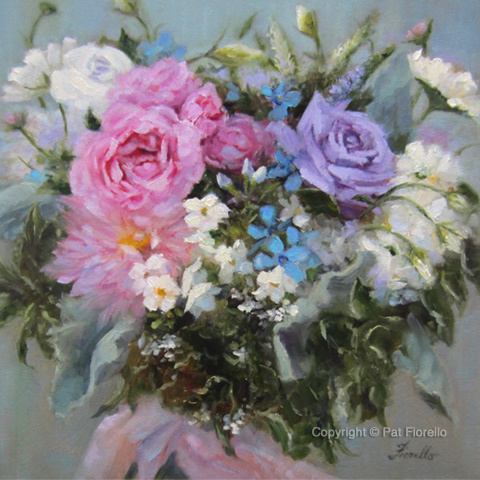 Over more than a decade that has followed, I've help Pat evolve her website to include many new and expanded ventures, like the addition of a new medium- oil painting, broadening of her teaching from solely Atlanta-based to leading workshops internationally in Italy, Spain and France and the development and launch of her book, "Bella Italia, Italy through the Eyes of an Artist". 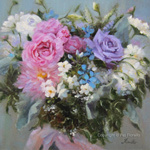 Pat's latest focus is creating portraits of wedding bouquets. 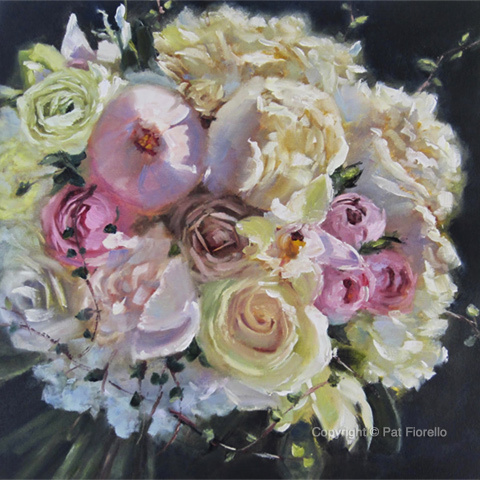 This was a natural evolution for Pat, as she loves to paint flowers (her last name "Fiorello" means one who lives near a wall of flowers), she teaches flower painting ( has taught at Monet's Garden in France) and even was trained on flower arranging at the Halls School of Floral Design. Working from a photo, she creates exquisite paintings that capture the beauty and joyful memories of a couple's wedding day. 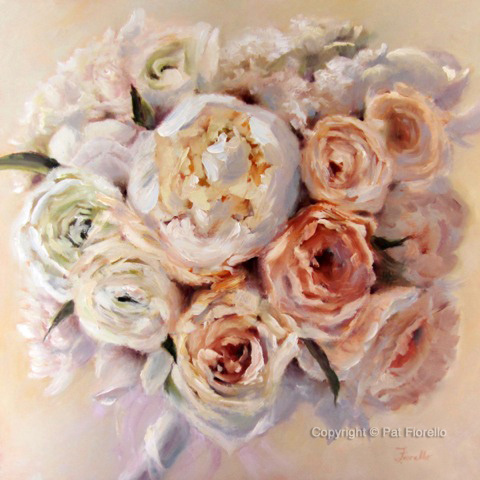 One happy bride who received a bouquet painting hung it over her nightstand sharing that, "each night before I go to bed and each morning when I wake up I see the bouquet painting and remember my wedding day". Often her clients are the mother of the bride or a wedding guest looking for the perfect gift or a husband looking for a meaningful and romantic anniversary gift for his wife. Pat's web presence has allow her to connect with clients across the U.S. from San Francisco to New York and even as far away as Australia . With each of these expansions, I've worked with Pat to update her website to include her expanded offerings while retaining a look and feel consistent with her overall style. It's energizing for me as a web designer to face the challenges of how to integrate the new paths my clients take while honoring what they and their brands are known for. I love seeing my clients grow and succeed! Wedding Bouquet Commissions View more examples and learn more about the process!